Which is exactly the kind of women that make up The Stairwell Sisters. Evie, Stephanie Prausnitz. 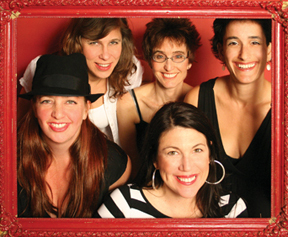 Lisa Berman, Martha Hawthorne, and Sue Sandlin are career women, organizers, activists and mamas; making ends meet working and living in San Francisco. They also happen to crank out acoustic, old-time music with a punk-rock intensity. Somehow, between raising children, working and releasing records, they've taken their band to some rather well-regarded places - appearing on "A Prairie Home Companion," festival stages from Lincoln Center (NYC) and Hardly Strictly Bluegrass (SF) to Celtic Connections (UK), and many points in between. 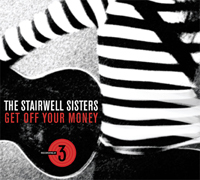 Their third release Get Off Your Money, produced by Maines and out May 12, covers substantial ground as well. There are fiddle tunes crafted decades ago from Alabama to Scotland and points unknown. There are old songs of trains, boats and possums. 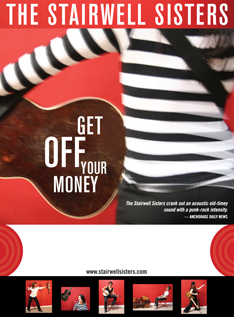 One song is translated from Swahili, an all-too familiar story learned from a street musician in Tanzania. There are new songs too - original songs of trial and work, loss and love, and all-night parties. The women run all of it through the Sister Mill. Regardless from which era or continent the songs have traveled, The Stairwell Sisters make such heartfelt and skillfully played music that boundaries dissolve beneath the chugging force of old-time fiddle and banjo, the whomp of bass and guitar, the grit of the slide guitar, and the tight, closely interwoven harmonies. Lloyd Maines has it right. 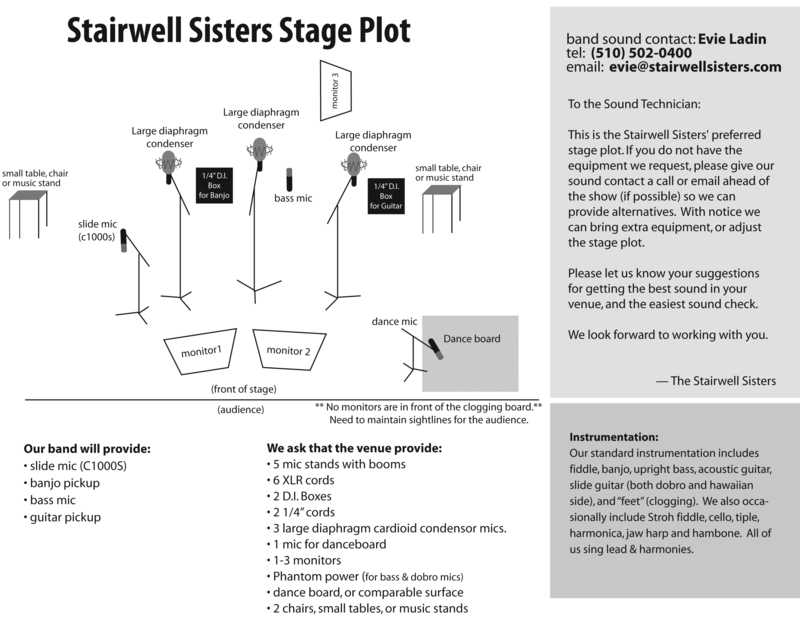 The Stairwell Sisters are tribal; laying down that all-gal teardown wherever they go. 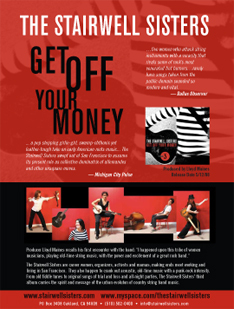 Get Off Your Money carries the spirit and message of the urban evolution of country string band music. 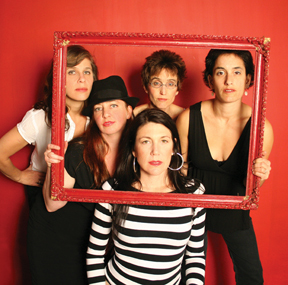 A mesmerizing project chock full of energy, excitement, poignancy and musical surprises. 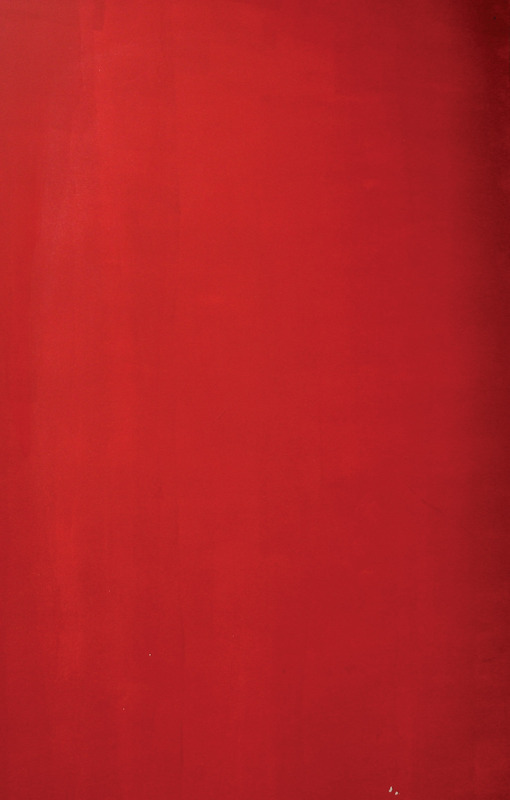 It's a boldly original album that looks both forwards and backwards simultaneously using old-time underpinnings to create a killer new sound. originals that nestle so comfortably you need to check the credits to make sure which are traditional and which are original - and that's meant as a high compliment. String band fare at its best. The Stairwell Sisters got people out of their seats! It's hard to say what is more striking: the Sisters' clear passion for old-time string band music, or the thoroughly modern exuberance of their performing style. It is, however, the originals that really underscore the band's distinctiveness. 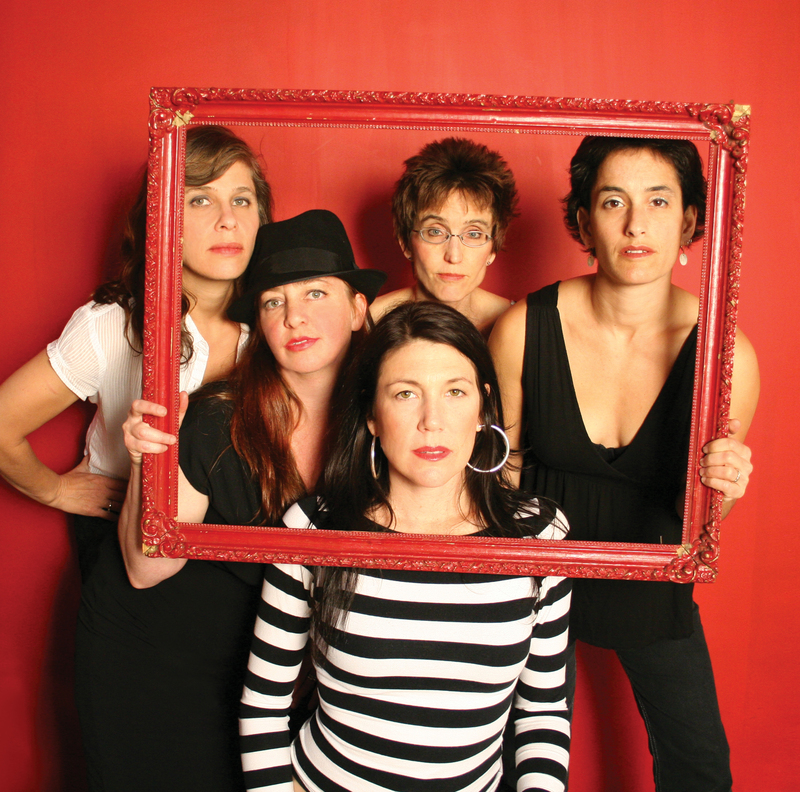 The Stairwell Sisters organically and emphatically connect their democratic music with their democratic values. 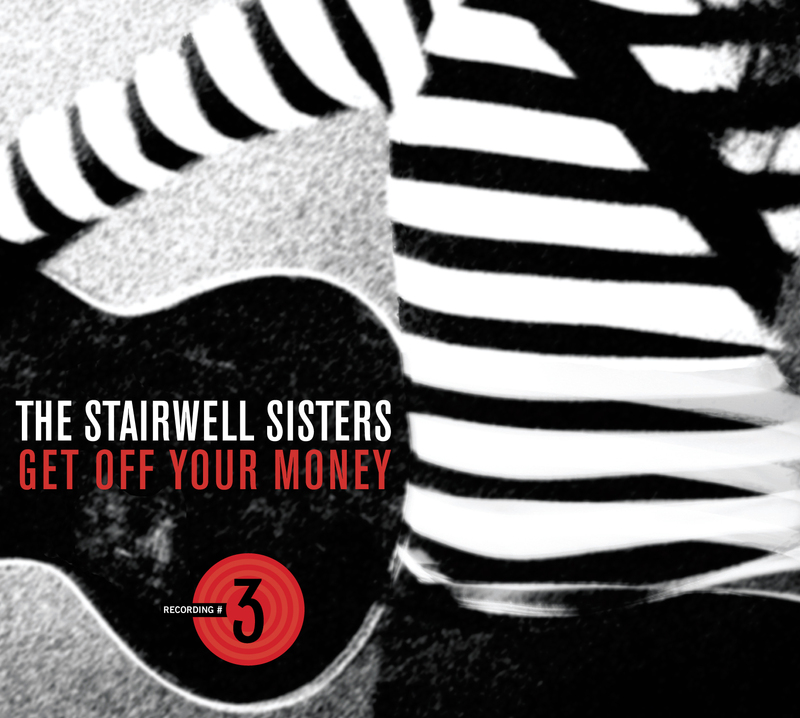 Together with the implicit empowerment aspect of their being an all-female band, Get Off Your Money adds up to quite a statement. 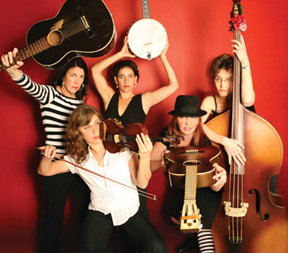 These women attach a rock-and-roll energy to an acoustic mountain sound...bandanas and whiskey are at home with Chuck Taylors and wine coolers...The seamless instrumentation along with each band member's musicianship help this album stand out from others of its genre...stories that coalmen from the 1800s can relate to as well as someone driving home in rush hour. strong and tight, as if they're playing one big, multi-layered instrument. From the first song until it ended this project just leaps out at you and won't let you go. This is old time music on steroids. The more you play it the more you find new and different things to like. I played the entire CD and my request line was ringing off the hook. The Bay Area's own sorority of sweet harmony, steel strings, and step dancing, the Stairwell Sisters are busy these days - not that the triple-threat (singer-songwriter-instrumentalist) musicians of the quintet are strangers to fancy footwork. The labor of promoting their third album of original and traditional old-timey tunes, Get Off Your Money (Yodel-Ay-Hee, 2008), has every reason to pay off once traditional music fans and appreciators of great songwriting catch wind of the Sisters' sweetly heartbreaking ballad "Cinderella" or the twangy, eXhilarating, banjo-driven rendition of "Swing Low."